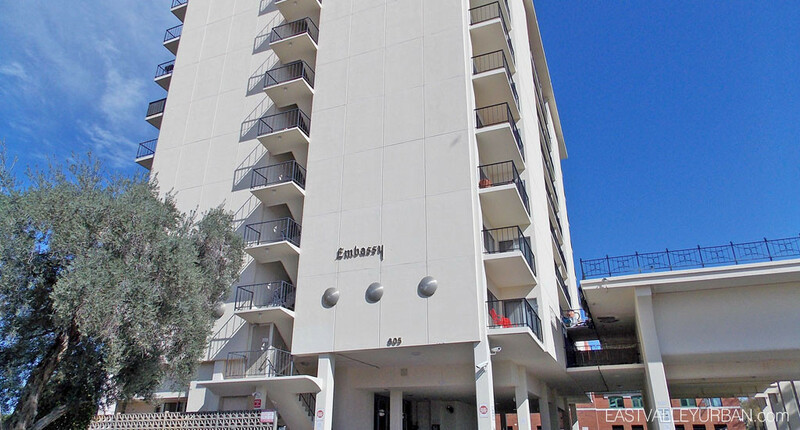 Embassy is an 11-story high-rise condo community just outside of Phoenix’s Copper Square District. Built in 1964, this community was one of the first high-rise residences in the valley. Originally used as a hotel during its time, Embassy was then later converted to condominiums in 1982. The community features 79 condos made up of 1, 2 and 3-bedroom floor plans. Floor plan sizing ranges from 378 to 1,390 square feet. Embassy residents have the option to take full advantage of a variety of amenities on property such as a community pool, barbecue on the 3rd floor, a front doorman service and a workout facility. Embassy’s convenient downtown urban location grants access to a variety of boutique bars and restaurants, sporting venues and shopping facilities. Cibo Pizzeria is one of the many hidden boutique gems near to the community. 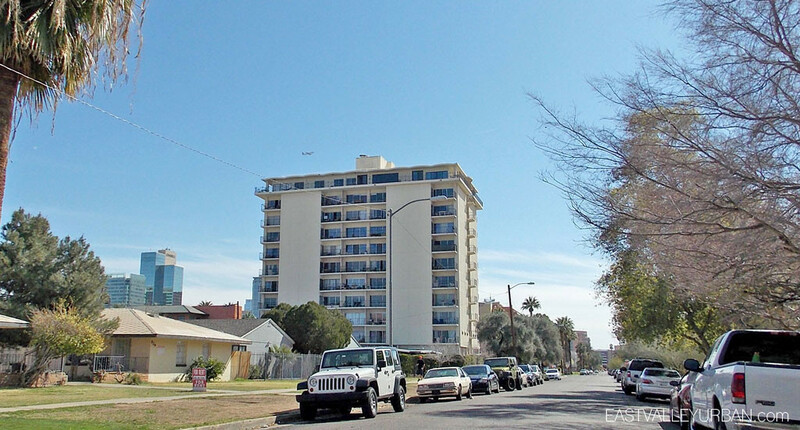 Embassy is an 11-story high-rise condo community just outside of Phoenix's Copper Square District. 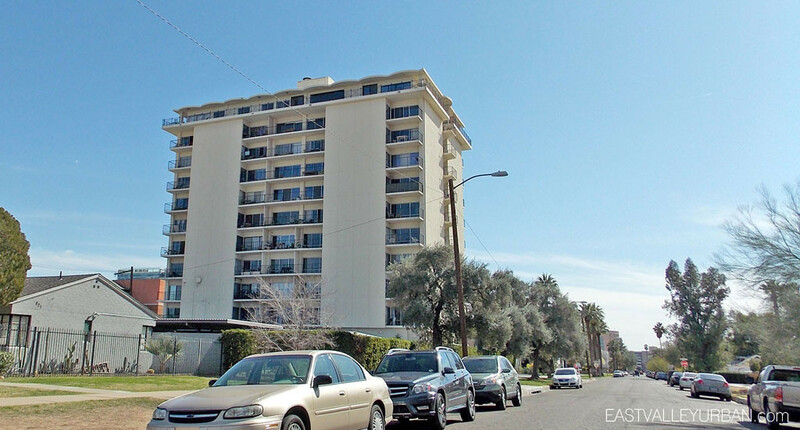 Built in 1964, this community was one of the first high-rise residences in the valley. Originally used as a hotel during its time, Embassy was then later converted to condominiums in 1982. The community features 79 condos made up of 1, 2 and 3-bedroom floor plans. Floor plan sizing ranges from 378 to 1,390 square feet. Embassy residents have the option to take full advantage of a variety of amenities on property such as a community pool, barbecue on the 3rd floor, a front doorman service and a workout facility. Embassy's convenient downtown urban location grants access to a variety of boutique bars and restaurants, sporting venues and shopping facilities. Cibo Pizzeria is one of the many hidden boutique gems near to the community. Looking to sell a property at Embassy?